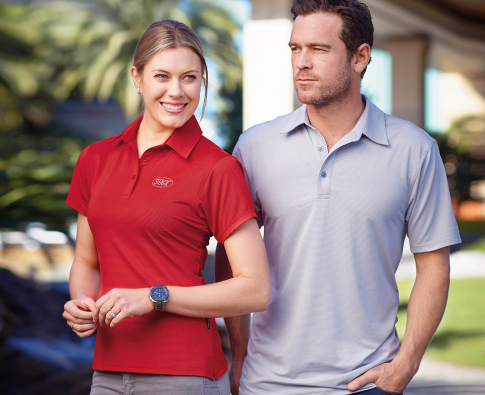 Stencil Silvertech Polo shirt is made from 130g 100% polyester high performance fabric. Yarn treated with both Cool Dry & nano scale silver technology. Permanent natural anti bacterial & deorodised finish. Keeps the body fresh, clean and cool all day long. Features horizontal silver stripes on the body with a 3 button placket in both the mens and ladies styles. Ideal for sports or uniform wear. Breathable, static free, iron free, quick drying, de-odorised treatment with a UPF rating of 50+. Fabric has antibacterial protection. Great range of colours to choose from.